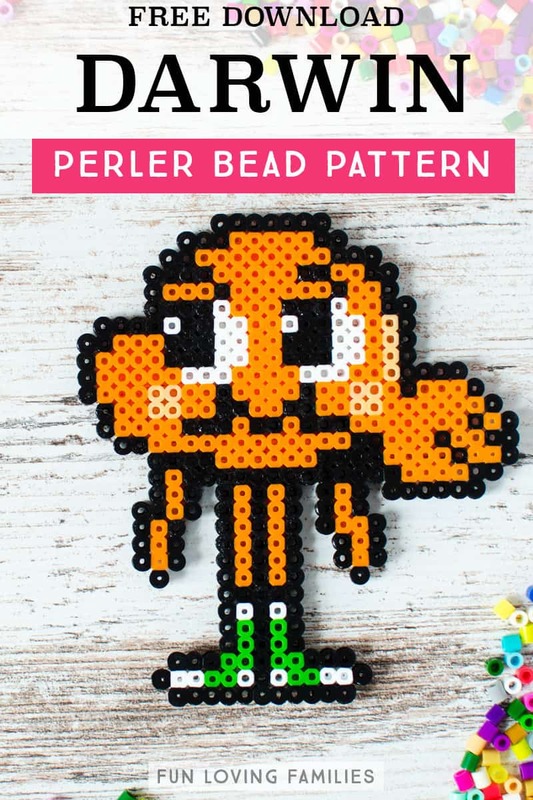 We’re sharing our original Perler bead patterns with you for free so you and your family can have fun doing this simple craft together. 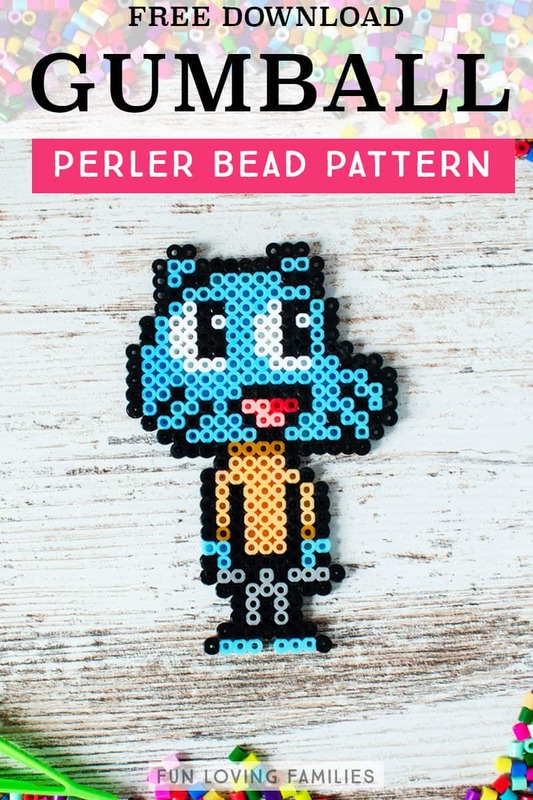 We love coming up with new Perler bead designs, so check back often to see what we’ve added. 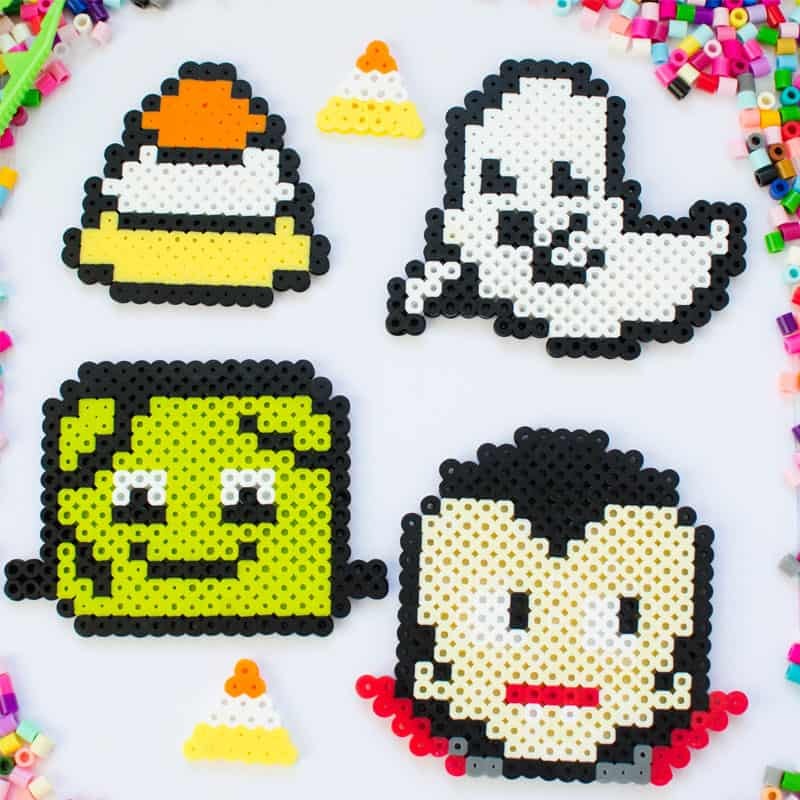 If you’ve followed this blog for some time, you’ve probably realized that we do a fair amount of crafting with Perler beads (we call them “melty beads”). 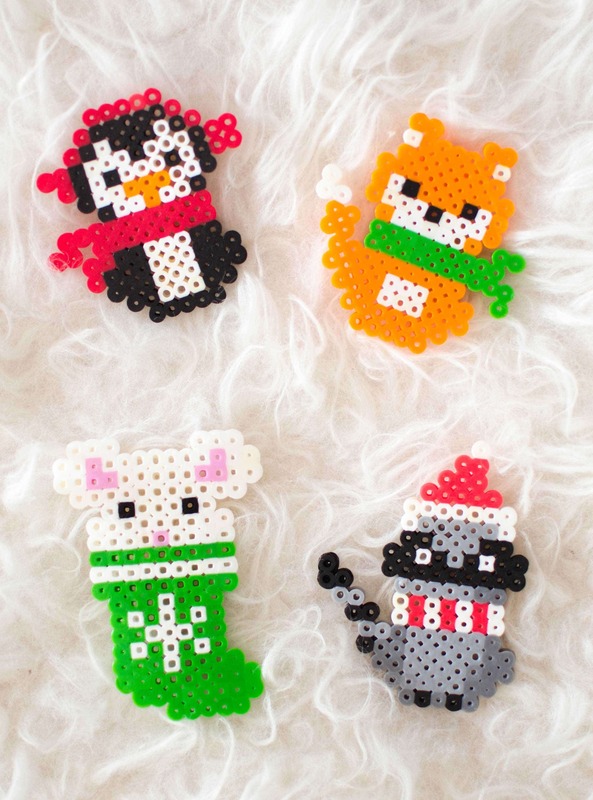 Last year we shared our Christmas Perler bead patterns, and of course we had to include “create with melty beads” on our Summer Bucket List. 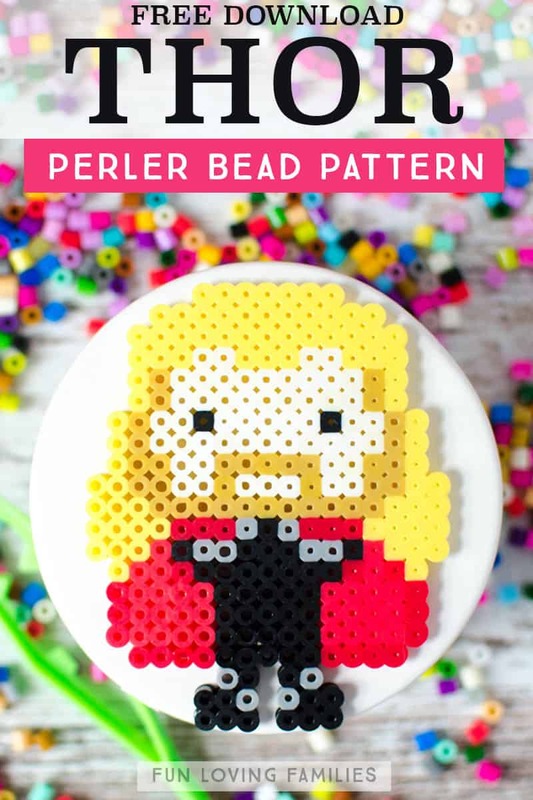 When we get our beads to start crafting, we either start with a quick search online for perler bead ideas, or we just go for it and start making our own patterns. Both are totally fine and fun options. Why don’t we just go ahead and post our own melty bead creations when we make them, and share them here for others who are out there looking for ideas. 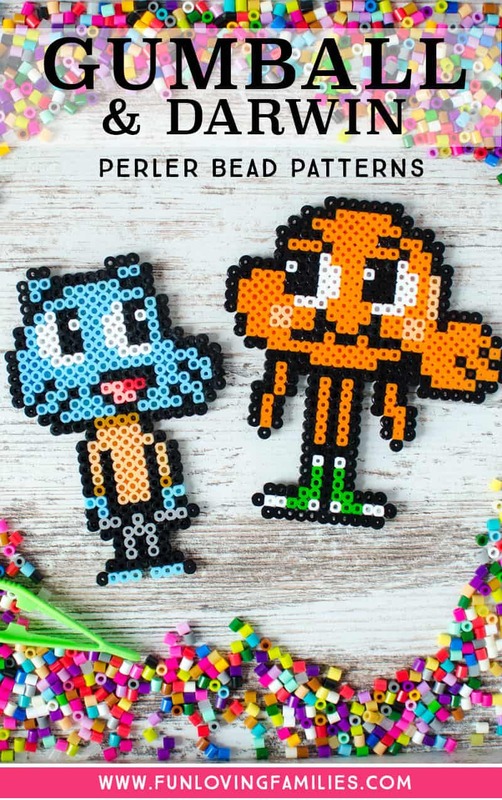 To that end, we’ll be updating this page periodically with our own free Perler bead designs that are totally free for you to use. If you’d like to share your creations online with others, please just link back to this page if you use one of our designs. 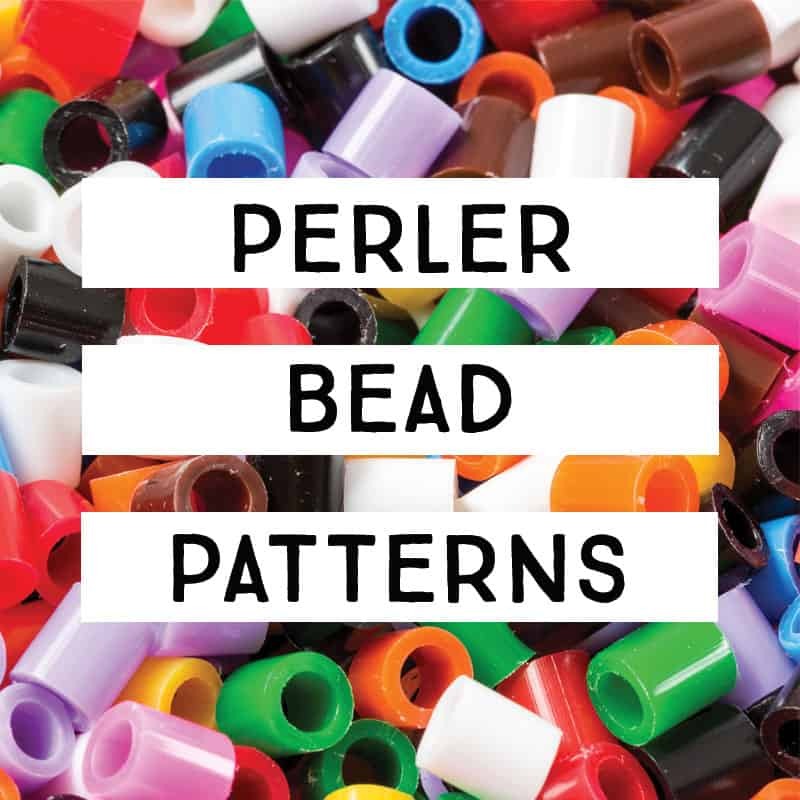 Here’s our growing list of free Perler bead patterns that you can download and use, or just get inspiration from. Have an idea for a pattern you’d like us to make? Just leave your requests in the comments below and we’ll try to make it! (Note: This is a family blog and I will delete requests that are not family-friendly). We are huge fans of the Marvel movies. We’re a little late to the game, though, so we’ve been spending our family movie nights over the summer getting caught up on all of the movies in the MCU. 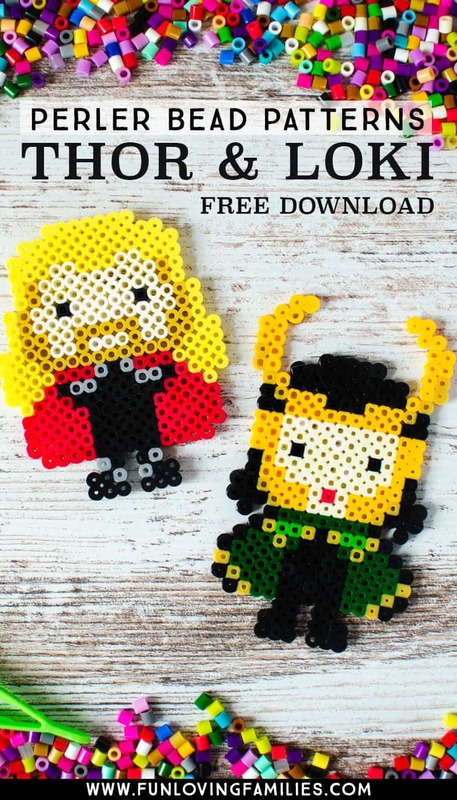 My favorite character is Thor, and my oldest daughter is a *huge* Loki fan, so we’re stating with those. 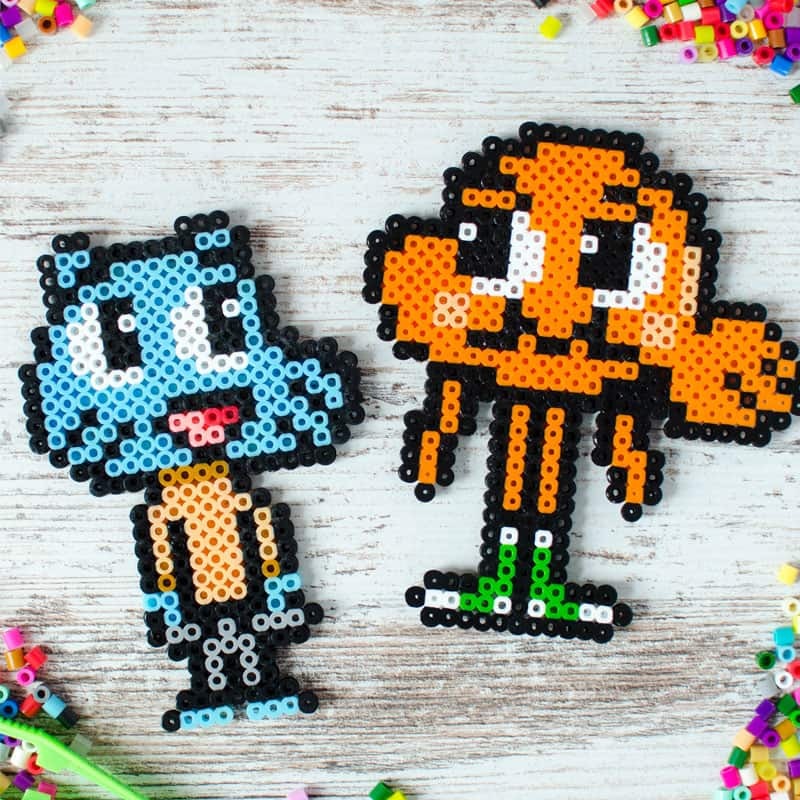 I had a lot of fun making these two main characters from The Amazing World of Gumball (on Cartoon Network). They took up the entire height of the pegboards, so you’ll want to make sure you have this size pegboard canvas if you want to follow the pattern. 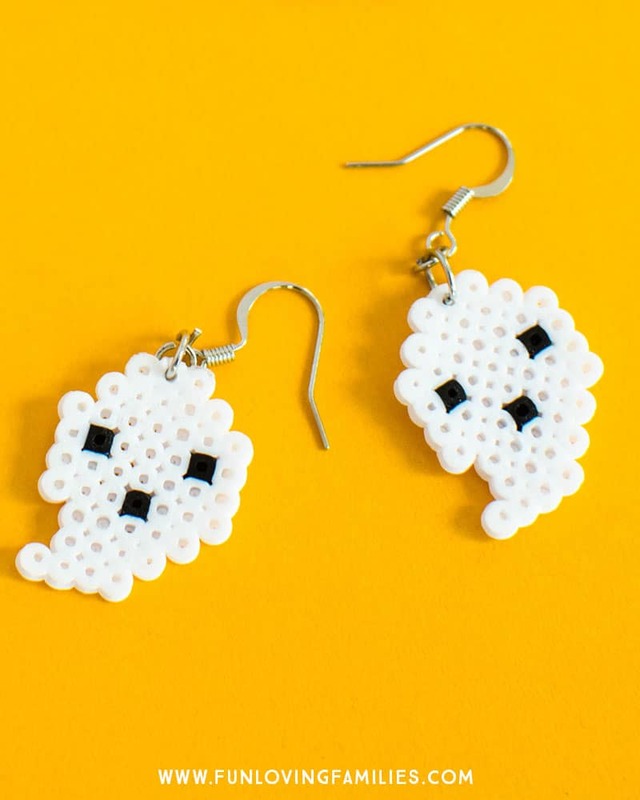 Make your own Halloween Perler bead earrings! 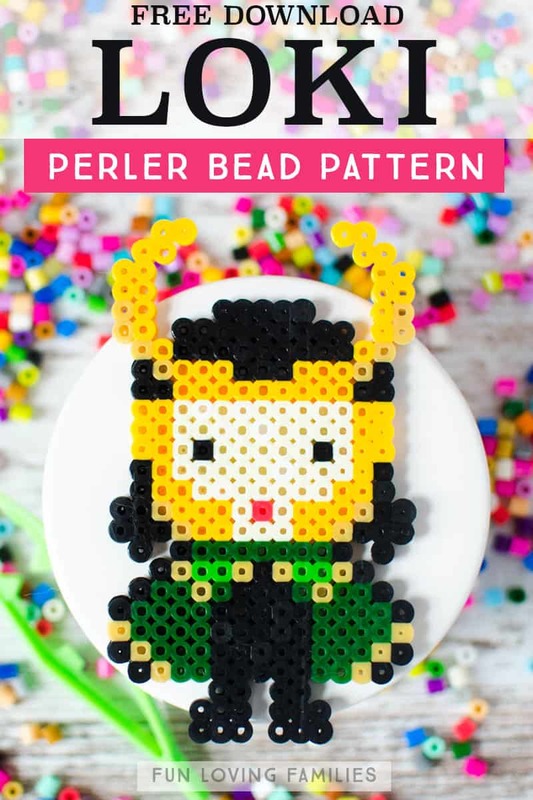 Do you have some family-friendly ideas for perler bead patterns? Leave a comment and we’ll try to come up with a new pattern for you!